The Samsung Galaxy S9 and Galaxy S9+ are officially hitting stores tomorrow — though they’re already in the hands of some pre-order customers — and to celebrate, T-Mobile decided to try and set some Guinness World Records. A video posted by T-Mobile today shows the carrier setting two Guinness World Records using the Samsung Galaxy S9. 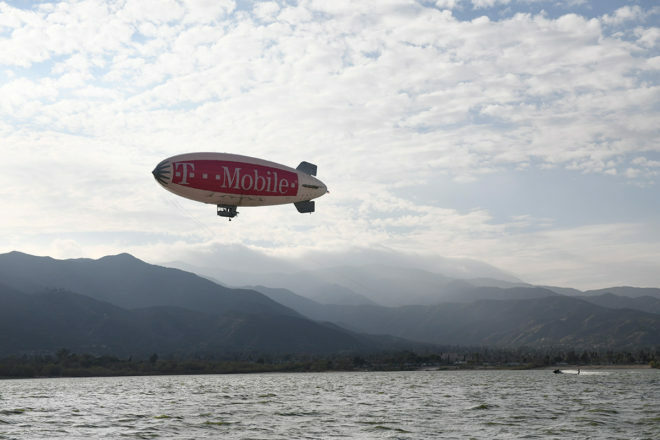 The first tasks a water skier with setting the record for fastest text on a touchscreen mobile phone while being towed by a blimp, and the second record is the greatest distance water skied by being towed by a blimp. As a reminder, the Galaxy S9 costs $0 down and $30 per month for 24 months on EIP, $0 down and $32 per month with JUMP! On Demand, or $720 full retail. The Galaxy S9+ will set you back $120 down and $30 per month on EIP, $0 down and $37.67 per month on JOD, or $840 full retail. Why are those even things? Can I just make up a random combo of things happening and then get the world record for it? Weird! All this time, the S9 is now out, it’s the 2nd week of March. . . and still no Android 8.0 Oreo on the S8?!?!? Hmm…….. The newest phone is always going to have the latest software before the previous version. It has been this way for Samsung forever. Mid-April is likely when the S8 gets the Oreo upgrade. My question: Was there a record previously for ” fastest text on a touchscreen mobile phone while being towed by a blimp”? Sprint tried it, but only got to within 1% of TMobile. I didnt know that was possible. What next, seaplane?